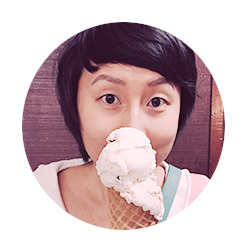 Dear Creatures is one of my favorite indie designers. 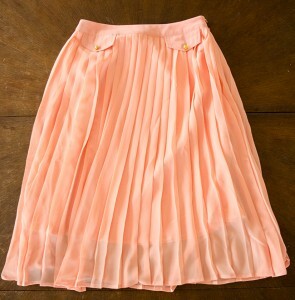 I first found them on ModCloth several years ago, and I own several items from them. I love the vintage-inspired designs and silhouettes (especially their fit-and-flare dresses!) and their cute patterns and prints. Their lookbooks always have this dreamy, 1960s, mod-ish vibe to them. They usually hold a summer sale and then a holiday sale in December right before Christmas, in both Los Angeles and San Francisco. I’ve been to a Dear Creatures sample sale three times now; the first was when they were in The Loved One, a vintage clothing boutique in Pasadena. I was clueless about sample sales back then and showed up later in the day, which meant a lot of the items I was hoping to buy were already gone. But at least there were no crowds. 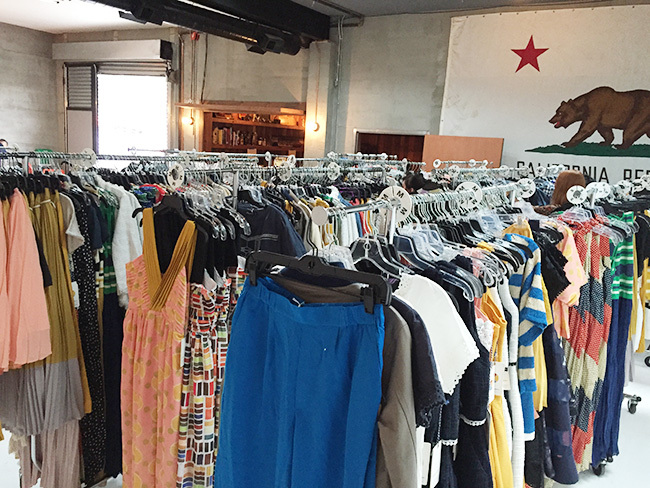 Now they hold their sales in a studio in the Eagle Rock neighborhood, and there’s way more space for clothing! One thing they do now that I think is a great idea is that they offer Early Bird tickets for sale online prior to a sample sale. There are only a limited amount available (50 tickets for this most recent sale) but it guarantees you admission for an hour prior to the regular sale hours and you don’t have to wait in line to get in. The sample sale was from 11 AM-5 PM but with an early bird ticket, you can just walk right in any time between 10-11 AM and get the best selection of items available. An early bird ticket is only $5 and you get the $5 cost of the ticket taken off your purchase total, so it’s totally worth it. Even with an early bird ticket, I didn’t know if there would be a line just for the early birders because they limit how many people can be in the space at one time due to fire codes. So I got there by 9:40 AM and was let in immediately (despite it not being 10 AM yet) because of the MASSIVE thunderstorms rolling through LA. It very rarely rains in LA in the summer, and these huge thunderstorms freaked a lot of people out! It was surprising to me when I got to the sale location that there was NO ONE waiting in line! Last year when I went (without an early bird ticket), there was a super long line and I had to wait an hour in the hot sun to get in. Just goes to show you how much Angelenos are scared of rain, hahah. Here’s a picture of the interior of the sample sale. I wasn’t able to get the entire interior in the frame, but there were about 2-3 very full racks for each size (XS, S, M, L, XL). There were a lot of items available in the M and L sizes. There were probably about 20 other people in there with me. Because the early bird tickets were limited, I was able to shop with ease and go through the racks at my leisure. I generally wear an XS or S in Dear Creatures and they had plenty of items in all sizes available. Most of the clothing for sale was from the Spring 2015 collection, with a few items from their 2014 spring, summer, and autumn collections. I make note of specific items I am looking for before I go (check the company’s website, peruse their lookbooks if they have them online) and make a beeline for those items when I see them. But always be polite to people. I’ve never had a situation where someone else and I went for the same item at the same time, but be gracious. It’s not worth it to get into a big, immature fight over a piece of clothing, no matter how great the bargain is. In addition to that, if you see someone trying on something you want, and there aren’t any more of that particular item, I have found that most people are generally okay with you asking POLITELY if you can have the item they are trying on if they decide they don’t want it. But don’t hover or be a creep. Do quick spot checks to make sure there aren’t any deal breakers (really bad stains that I probably won’t be able to get out or any other damages). No point in buying a cute dress at a bargain price if it has a giant rip in it! Wear clothing and shoes that are easy to take on/off to expedite trying on clothes, such as a t-shirt, jeans/skirt and slip-on shoes. Yeah, it’s nice to look cute but you’re at a sample sale, most likely in a hot, crowded warehouse. Every time you have to unlace your shoes or button your shirt, it’s just taking up time. Be comfortable getting undressed around strangers. Don’t expect too much privacy. Most of these sample sales have one giant dressing room where everyone crams in, or makeshift curtains around chairs. Sometimes there is a bargain box, with damaged items for really, really cheap prices. They may be missing zippers, buttons, unfinished hems, etc. Before you decide to buy it, think about if it’s worth it to spend the extra money to get a zipper put in or a hem fixed. Here’s are some photos of my haul! I’m pretty happy with my haul. 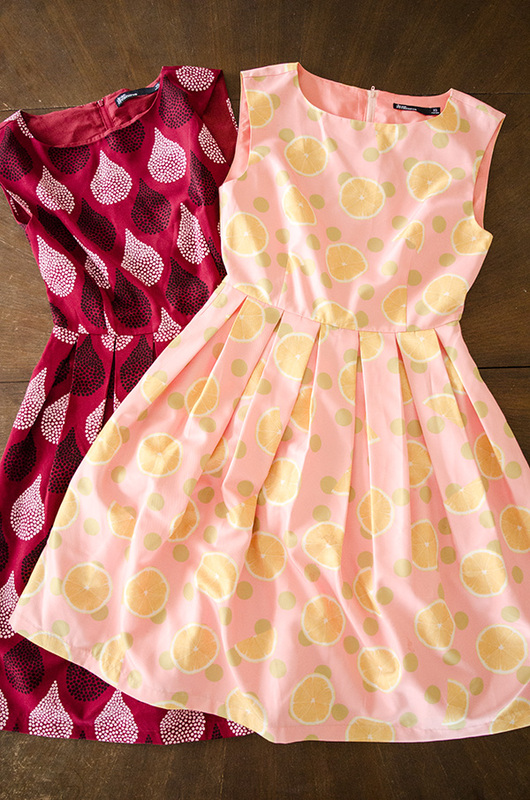 The one thing I really, really wanted was the Harper dress in the Pink Lemonade print, and I got the last one in my size! There have been a few times when there was a Dear Creatures dress I really wanted, so I bought it right away from a site like ModCloth but sometimes, patience pays off by waiting for the sample sale. So awesome that you went too! I got an early bird ticket as well. I used to go the sales at The Loved One also, but their new location is so much better! You got some great stuff. I was hoping to get that paint chip blouse, but didn’t see it (aww). It’s ok though, I found other things 🙂 I went to the Wildfox sample sale last December (my first time) and it was a little crazy. Boxes on the floor and girls everywhere sorting through them. Great stuff though ! 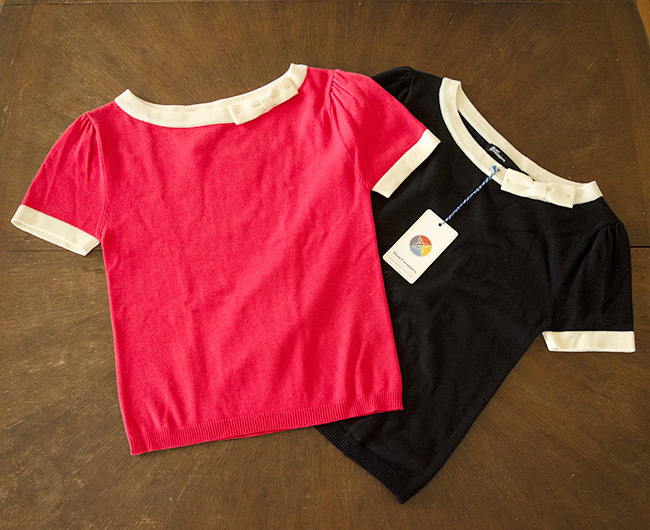 The paint chip blouse is cute! Maybe there might be some at the next sample sale in December. 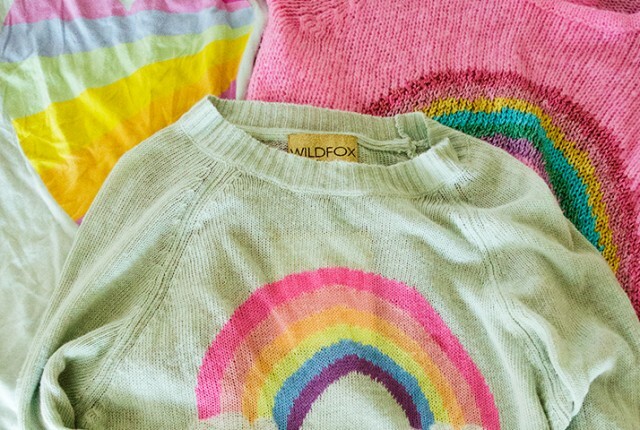 Oh boy, I had heard the Wildfox sample sales were crazy, thanks for the heads up!